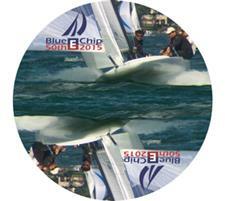 DVD of the 50th Blue Chip Regatta held at Pewaukee in 2015. 20 past mystery guests came to compete in the event along with 4 class legends. The NCESA flag is a 2'x2' square. The flag is double layered and has the "E" facing correctly on each side of the flag. NCESA Class Flag, 3'x3' square. The flag is double layered and has the "E" facing correctly on each side of the flag. 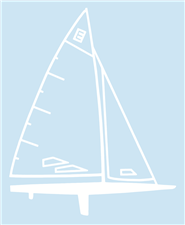 One set of Stickers: includes a 5x7 E-Scow Outline Decal and four 3x3 Class Logo stickers. The NCESA Burgee is a double layered Burgee flag that has the "E" facing correctly on each side of the flag.